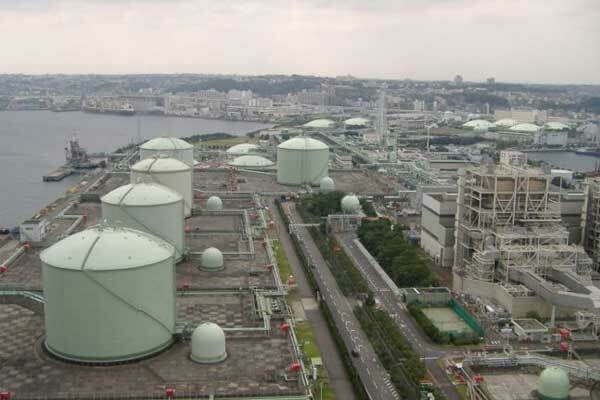 How Does LNG Terminal Works? LNG (Liquified Natural Gas) terminal is a reception facility for unloading of cargo from LNG tankers. This purpose built ports are specially used for export and import of LNG. A variety of facilities for unloading, regasification, tanking, metering etc. of LNG are provided at these terminals. Natural gas is transported in liquified state using LNG gas tankers. At LNG terminals, the liquified natural gas is turned back into gaseous state (regasified) after unloading from ships and then distributed across the network. The activity at LNG terminal can be divided into four main stages. 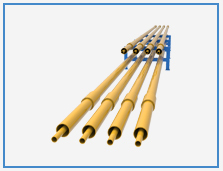 Special types of pipes are used to transfer LNG from the ships to the storage tanks on the terminal. The LNG gas is received at extremely low temperature (-160 C) while transferring to the tanks. The tanker is moored at the unloading quay and the LNG is offloaded using three arms (special pipes) located at the quay. The LNG passes through the pipelines that joins the arms to the tanks and is stored inside the tanks at a temperature of -160 C. Tanking of LNG involves storing at special cryogenic tank designed for extremely low temperature. The double walled insulated tanks are made to store the gas in liquid state by preventing boil-off. The outer walls of the tanks are made of prestressed reinforced concrete or steel to attain the finest insulation for the LNG. In spite of such high insulation, minor evaporation still takes place because of low heat leakage. Compressor and recondensing system are used to collect this gas and feed it back to the LNG. This recycling system prevents any kind of escape of LNG from the system. 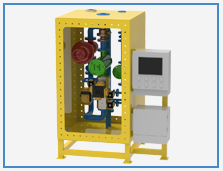 Reliquefyer is a collector system wherein LNG from the tanks and Boil off from the compressors is collected before is goes for the regasification process. 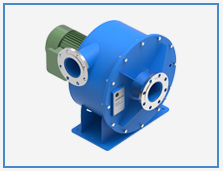 High pressure pumps are used to push LNG from the Reliquefyer to the Regasification system. Recondenser also helps in keeping the boil off gas in the liquid state. Regasification is the process of converting LNG gas from liquid state to gaseous state. 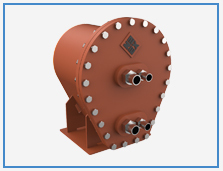 Heat exchangers are used to regasify the LNG after it is removed from the tanks and pressurized between 70-100 bars. Generally sea water is used for the regasification process along with high pressure pumps for transferring LNG. Regasification process involves raising the temperature of the LNG using seawater. The LNG gas is passed through a heat exchanger using sea water. Some LNG terminals also use turbine flue gases from their energy recovery systems. LNG is thus converted into gaseous state by heating at a temperature greater than 0 degree Celsius. 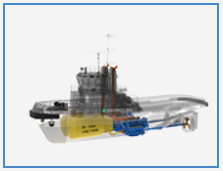 Some LNG terminals also have underwater burners which are also used to heat the LNG to convert it to gaseous form. 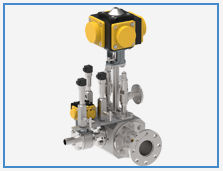 Such burners use natural gas as fuel and are generally used during peak demand period. 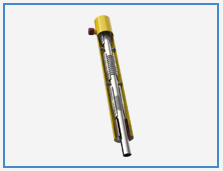 Such vaporizers are called submerged combustion vaporizers. Once it is turned back to the gaseous state, the natural gas undergoes metering, odorizing, analysis etc. before it is fed to the natural gas transmission system. As natural gas is odorless and inflammable, it is odorised to detect the slightest leak. This is mainly done by injecting tetrahydrothiophene(THT) in the LNG before it is distributed. 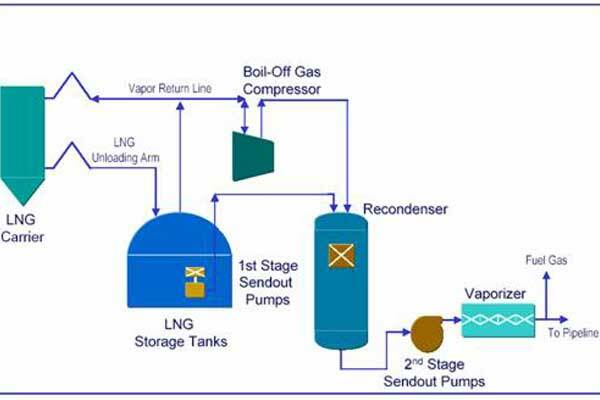 This is a general overview of the various processes that takes place at an LNG terminal. An LNG terminal can work a bit differently on the basis of the requirement and purpose of the particular terminal.